Thousands of developers pack the Palm Springs Convention Center to learn how they can use Esri technology to build new apps. If you didn’t think the largest geodeveloper conference in the world could get an upgrade, prepare to augment your reality. 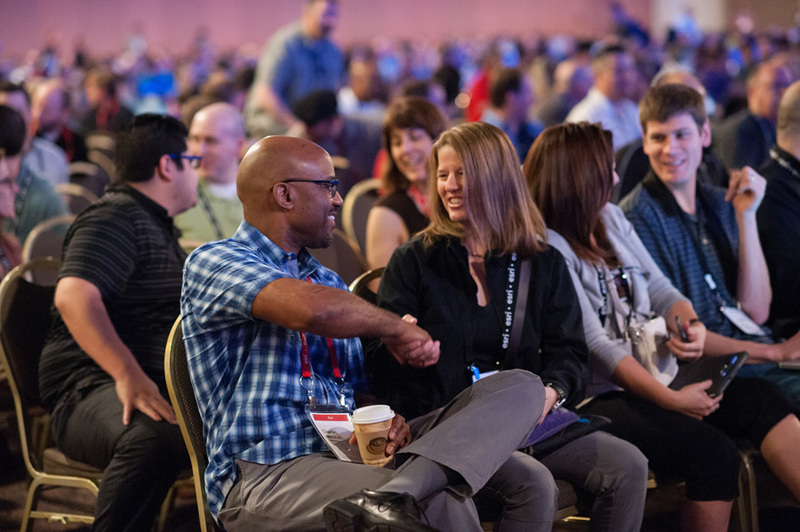 You’ll get more technical know-how, insights, and training than ever before during this year’s Esri Developer Summit (DevSummit). Don’t miss out on your most important, longest-running project: developing yourself. DevSummit is a conference for developers, by developers. So there’s a lot of know-how flowing back and forth among colleagues. Esri president Jack Dangermond enthusiastically welcomes the crowd. This year offers more repeat sessions, too. Feel free to ask Jim McKinney questions. This year marks the longest DevSummit ever. The event begins March 8, 2015, with presummit training held at the Palm Springs Hilton and the Hard Rock Hotel. You can gain new technical skills that may include iOS development using the programming language Swift, writing geoprocessing scripts with Python, and Android programming. That’s just day one. Day two, March 9, brings you more training. That day you can also peruse the latest geospatial applications at the Esri Showcase and GIS Solutions EXPO in Oasis Halls 1 and 2 at the Palm Springs Convention Center. 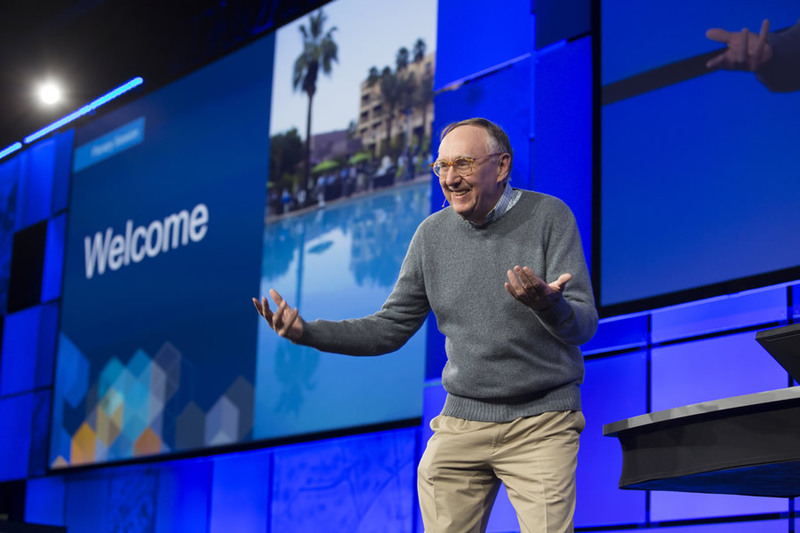 Esri president Jack Dangermond will open the Plenary Session on March 10, welcoming the developers from around the world. A full morning of technology demonstrations will follow, with an emphasis on building ArcGIS native apps and data visualization techniques. DevSummit is a great place to connect with geodevelopers such as yourself. Esri staff, including the engineers and developers who are building tomorrow’s geospatial software, will be available all day, every day to answer your questions. 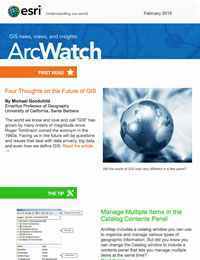 Bounce your ideas off the Esri solution engineers and developers who build Esri software. Ask Esri ArcGIS program manager Jim McKinney anything, and find solutions to current challenges. The Esri video team will also staff a video suite to take your ArcGIS questions from noon to 1:00 p.m. Thursday. Esri staff will play these questions during the Closing Session on March 13 for McKinney and a full team of Esri developers to answer. Or, if you live by the 140-character bird, sign on to Twitter and Tweet your questions to @EsriDevSummit at any time during the conference. You’ll also be able to post your thoughts on the Facebook.com/EsriGeoDev wall. The speakers at the Closing Session will answer these questions too; recap the week; and recognize the dodgeball champions from the tournament to be held March 12. 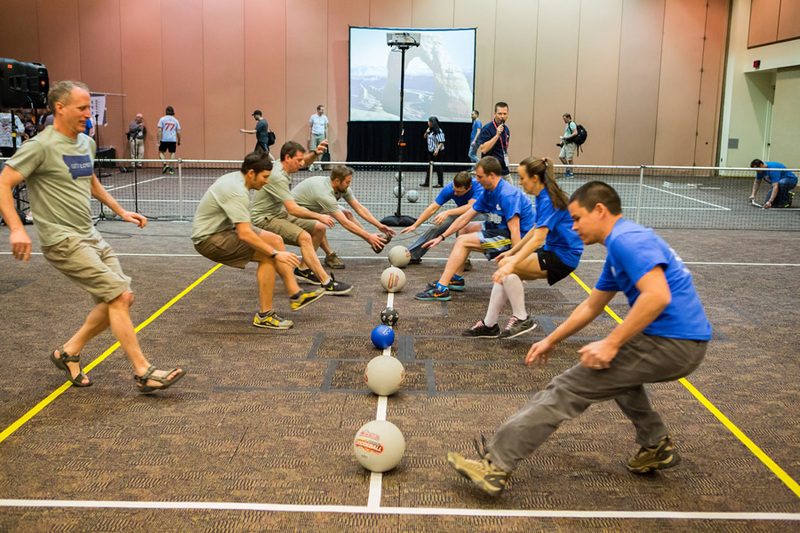 Dodgeball returns to the Esri DevSummit. Get your game face on! 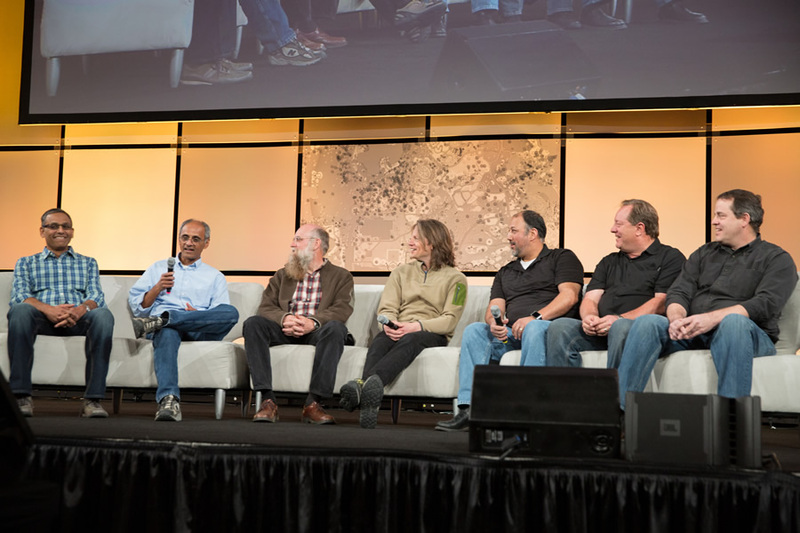 A panel of Esri developers will sum up the week and take more questions. You already know about the world-famous dodgeball tournament (bring gauze and gumption). 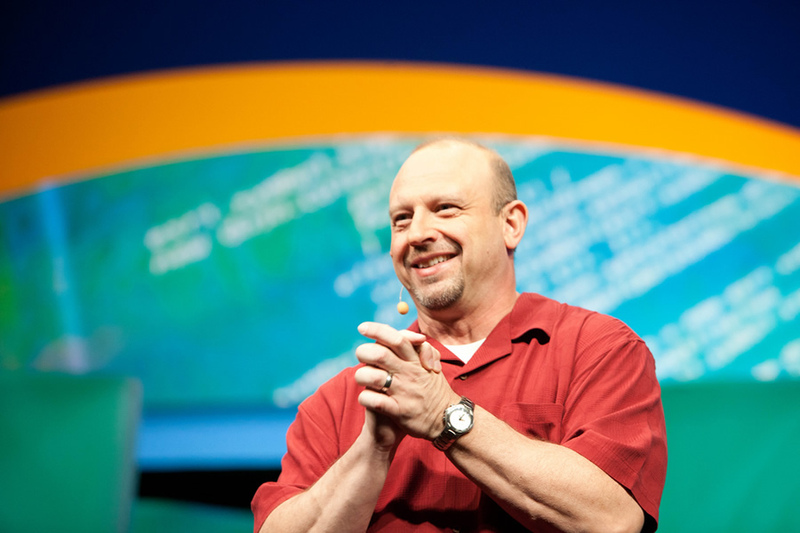 But this year, channel your inner code curmudgeon and attempt to drench the Esri experts, including McKinney, at DevSummit’s first-ever dunk tank. Dunking will take place during the DevSummit Party, following dodgeball. PS: Don’t forget to check @EsriDevSummit on Twitter for the official release of the DevSummit’s music playlist, which will serve as the soundtrack of your life at DevSummit. And always feel free to reach out to us throughout the week with questions, comments, and suggestions.